Does this warrant its own thread? Maybe not? I tried to find one but didn't get any results. I love rhythm games a lot and if anyone has any recommendations, I'd love to hear. I did DDR for a while at uni but that's not important. During my early years on the Internet I met someone who was really into PoMu, so I got somewhat familiar with a surprising amount of music from games I've never played. Recently I've been going through all the songs I liked from tooling around Bemani in years past and showing them to people. Oh hey, it's my thread. I looked for one of these too, but I couldn't find one and wasn't so sure there was enough players on the forum to make one. Controller collection. Not pictured: second FP7 which I lent to a friend and my svse5 which is on its way here atm. The DDR controller is a PDP which is so low quality it makes me want to neck myself, but I'm really happy with the others. What was their handle, Vi? I might know them. In post 5, Human Sequencer wrote: What was their handle, Vi? I might know them. The name I knew them by was LuminescentSword, but I feel like it may have been abbreviated or otherwise different elsewhere. This was the better part of a decade ago, so they're probably not current. I've always wanted to try jubeat. The setup has always seemed like it would be satisfying to play with-- kind of like a launchpad. You'd be better off with a launchpad imo, Jubeat is complete memorization. It's kinda fun for a while, but the better you get the more of a grind it becomes. I should play it more. One of the best foreign jubeat players is australian! I used to play loads of DDR and I play guitar hero/Rock band from time to time. Mainly Beatles. In post 5, Human Sequencer wrote: Oh hey, it's my thread. 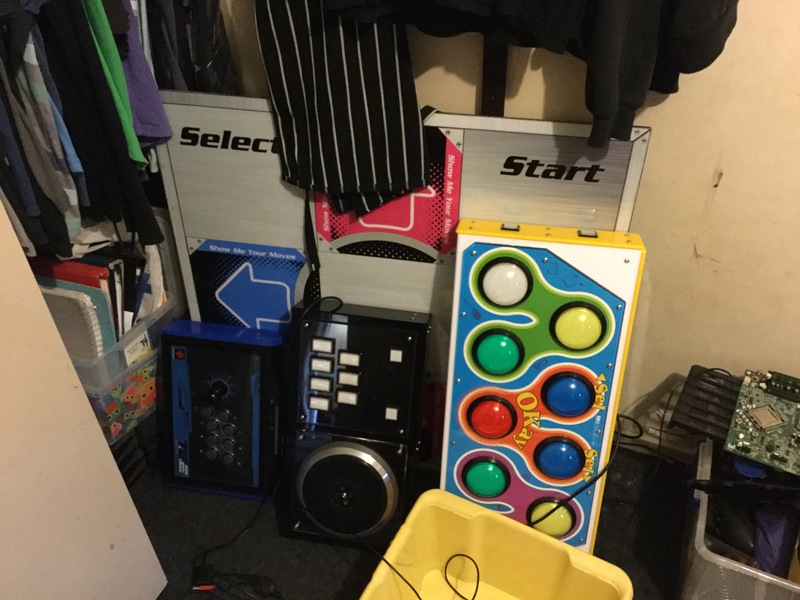 yeeeaaah boi beatmania console i see there? Depends on both the game and on your definition of memorization. Yesterday I had the great opportunity to go to an arcade and play some rhythm games there. It was a first since there are none in my area. It was really really fun. I would want to go back. 10 dollars for roughly 2 hours of gameplay was worth. Very loud. I noticed some machines had a headphone jack which would be helpful and if I return I will be prepared. I can’t read Japanese and that made it hard for some of the machines, especially since I have to navigate the menus on a timer. 1. Groove Coaster: I loved this game. Each beatmap has its own feel and gameplay is super satisfying too. 2. DDR: I’ve played pad stuff very few times but I picked it up pretty quickly while I was there. A lot of fun. 3. Sound Voltex: I had the most trouble with the menus, and nothing really stood out to me. Still a fine game. 4. Project Diva: I dislike that button placement on the machine is not intuitively matched with the beatmap (theres no intuitive way to know where the X button is on the machine, for example). 5. Beatmania: 7 key fits really awkwardly between my fingers and that was a big hindrance to my enjoyment. The DJ spinning is not satisfying enough to not be annoying. Me and some friends are planning on going to a (different) arcade at some point. I still want to play the Taiko game, jubeat, and I want to get better at beatmania so that I can actually pass hard songs. I’ll keep an eye out, but I didnt see it there. 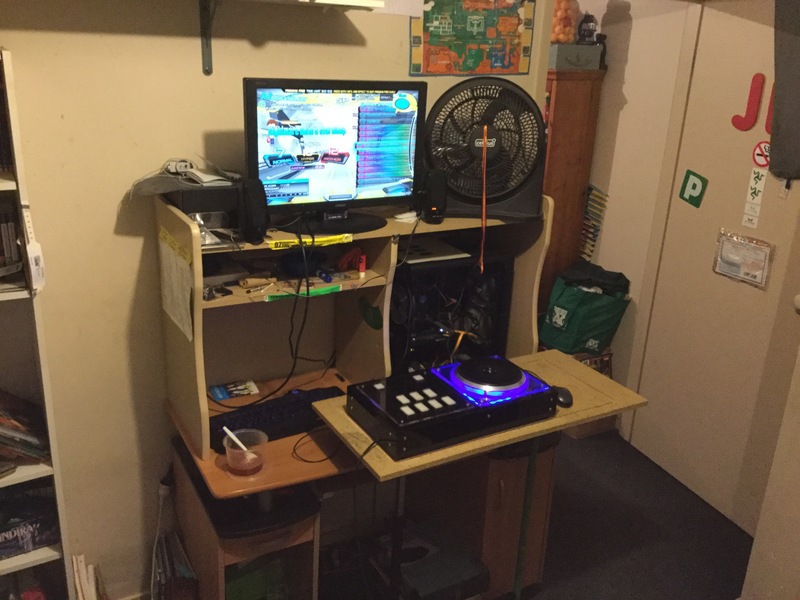 I can see how beatmania would be appealing and definitely want to get better at it. But dedicating that much of my energy doesnt seem like the right move considering I dont own any of these games and would have to spend my limited amount of credits into it. Oh man my home, I found it. I played the DS version and thought it was a lot of fun. I've always wanted the Wii version.